Get clear, quality coloured prints from your compatible printer with the Brother LC-3317 Ink Cartridge. 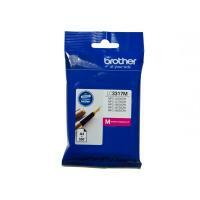 High yielding, the Brother LC-3317 Ink Cartridge can print up to 550 pages in accordance with ISO 24711. The LC-3317 Ink Cartridge is compatible with the following printer models: MFC-J5330DW, MFC-J6530DW, MFC-J5730DW, MFC-J6730DW, and MFC-J6930DW.